With less than three months to go before the 2016 Presidential elections, we took a detailed look at each candidates by examining their positions and suggesting developments likely to arise before the voting takes place. Watching the recent presidential debate on national TV somehow had given us an idea more or less on the kind of government we'd have should they win. One topic which piqued my interest was about employment. When voters ask about the candidates' priorities, employment is always at or near the top of the list. Employment rates have dropped judging by the percentage of graduates who already have professional jobs. Gone are the days when acquiring a college diploma is enough passport to land you a good paying job. Truth to be told, there are a lot of graduates who weren't able to secure a job into is bleak economy, although some lucky souls may do find jobs but many short-term, precarious and unable to support their families. There were summer employment programs that tailor policy directed at young people. But it seems that the emerging generation of young adults will end up poorer than their parents if it won't be properly addressed by the next government. And this is just one of the many stuff that the next president must be able to work on. Although people usually view jobs as some great and wonderful thing and we need more of them, an Economist would actually say a job is a cost, not a benefit. The purpose of an economy is to produce the stuff we want and need. Having stuff is the goal, the benefit. Having a JOB is the unpleasant thing you suffer through as part of creating the stuff -- it's the cost of acquiring the stuff. It would be great if we could figure out how to have all the goods and services and entertainment we need without having to work in jobs. So ultimately, JOBS are not important -- it's goods and services that are important. 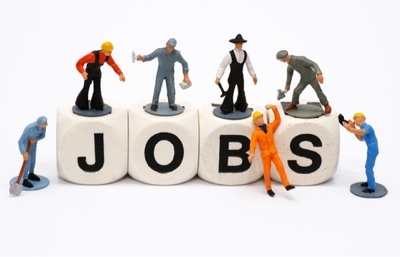 Jobs are just the unpleasant reality we face in order to have those goods and services. But more realistically, since we can't create goods and services by magic, jobs are important because that's how we create the goods and services for ourselves -- people work to create them. So in this sense THAT's why jobs are important ... they are part of the efforts by which we organize our resources (including human labor) so as to provide ourselves with goods and services. If we want the economy to grow (which we usually want because that's how we provide for a growing population, and that's how we increase our standard of living over time) then we need more people working in jobs, as well as we need to make workers more productive in the jobs that exist. But of course since most people are not economists, when we speak of jobs we are referring to the context in which politicians and news media incessantly talk about the need for more jobs. In this case, jobs are actually not important to the "economy" -- we'll have an economy whether unemployment rate is 5% or 20%, and we can even have some economic growth without more jobs -- but jobs are important to POLITICS and SOCIETY and peoples' satisfaction and concerns about current events. Because in the real world, it's the income from jobs that people use to buy things and pay taxes, so not having a job becomes a problem. Employment is the primary means by which we transfer monetary resources to people, which permits them to use their income to live and consume. High levels of employment rate and longer working hours mean, also at the same wages, a larger income for employee. Income distribution gets more equitable with a sharp reduction of poverty. On-the-job training raise skills. Working conditions usually improve and people have confidence in maintaining their jobs and even getting better ones. This perspective is conducive to investment in human capital. As we said, in this environment it is likely an increase of wages. Consumption of employee will be boasted but global consumption may follow a slower path if reduction in other income source takes place. Global consumption depends on consumption/saving attitude of different social groups and their income share. Happiness at the individual level is linked to fair working conditions, in terms of stability, personal relationships with colleagues, suppliers and clients, as well as of the pay and the actual content of operations. The willingness of voters to confirm the current government can be influenced by the labour market conditions. In particular, a rising unemployment can make the voters less likely to support it, with growing anger and anxiety. Jobless recovery makes the incumbent particularly vulnerable, because GDP rise would authorise to boast success, whereas people will be unwilling to recognize it because of the difficulties in finding jobs. 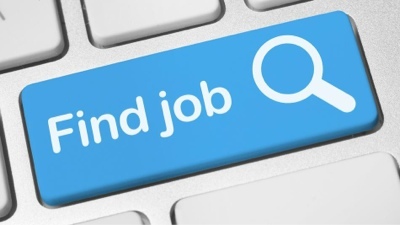 Most of us think of unemployment as a bad thing for exactly this reason; jobless people earn no wages and, as a result, suffer from a whole host of associated problems. The reason we have programs like unemployment insurance and other jobless benefits is to help alleviate these problems to some degree. But another very important reason that jobs are important is that jobless people who want to work are a valuable resource that goes unused. Of course not everyone who is without a job represents a wasted resource. Retired people and children are two obvious groups of people who generally do not work for money. For retired people the benefits of working are outweighed by the benefits of leisure time. In addition, retired people generally have a stock of savings to draw upon and are not so heavily dependent on wages for their income. For children, the benefits of working when young are outweighed by the benefits of enjoying a happy childhood and also of increasing their education to be more productive when older. Many people between these two extremes in age also choose not to work. This is particularly true for married couples with children where often only one person works for wages. In these cases the benefits from working are outweighed by the benefit of having one parent at home. However, when qualified workers seek for jobs and are unable to find them, we can legitimately view this as an aggregate waste. In this context, however, not all jobs are equal. Some jobs add value in the aggregate, some do not, and some may even lead to a decrease in total economic well-being. For example, if your shiftless brother-in-law who is currently jobless begins working as a jewelry-store thief, the economy as a whole would be worse off due to all the broken windows he creates in the course of doing his job despite the fact that he is now employed and has a source of income. Politicians and policy makers often talk about the challenge of creating jobs, but there is no challenge at all if the objective is simply turning idle workers into paid employees. All that is required is the ability to tax or create money and one can pay workers to do all sorts of things. What is challenging is to foster the creation of meaningful jobs that add net value to society. Much well-meaning public policy is counterproductive in this regard. The challenge for our next president to face is not simply by creating jobs, but rather in fostering an environment where meaningful jobs can be created and sustained for the long-run. 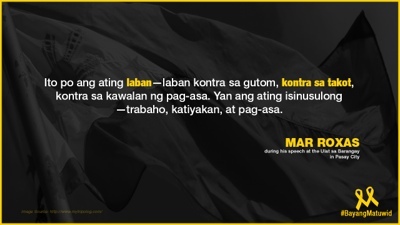 I also love Mar Roxas's ending statement during the recent presidential debate. He said hewants to be president because he wants us to have the same life as he does. Administration standard-bearer Mar Roxas says he wants to be president because he wants others to experience his fortune life. In his own words, "Maraming mga pagkakataon sa buhay ko na alam kong wala sa mamamayang Filipino. May trabaho ako, may naipon ako, hindi ko pinoproblema ang kakainin ko bukas. Bakit ko gustong maging pangulo? Dahil gusto ko maging ganito rin ang buhay ninyo...malaya sa gutom, malaya sa takot at malayang mangarap. Mahihiya akong harapin ang akng magulang at ang aking anak kung di ko gagawin lahat para mangyari yun." 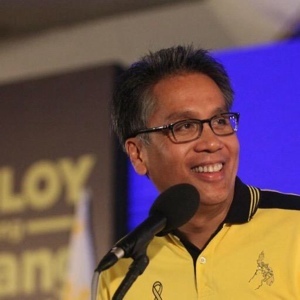 Roxas also talked about what Daang Matuwid has achieved for our economy. He promises to continue the benefits of Daang Matuwid. The guy knew exactly what he's talking about, and even gave statistics. For someone who comes from a descent family, with a good educational background from Wharton University and he's got a broad experience when it comes to public service. He's in good health condition too. He's got no derrigatory record (never been involved in graft and corruption) and isn't immoral to begin with unlike other candidates. He's got integrity and a genuine heart for public service. So, have you decided whom you will vote for the coming elections? I'm definitely voting for Roxas! Quoting Roxas himself, "Presidency is not an OJT because it concerns the lives of 100 million Filipino families." 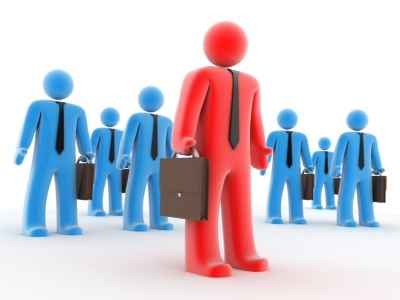 For more information about jobs, this link will surely help you in making your resumes for work.